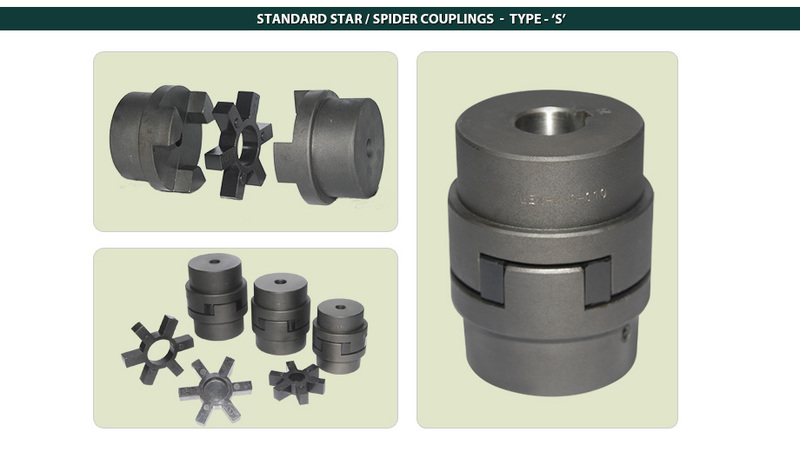 "Manufacturers of Jaw Type Flexible Coupling"
• Easy for alignment of equipments. • Ranging up to torque of 24 kg-m capacity. 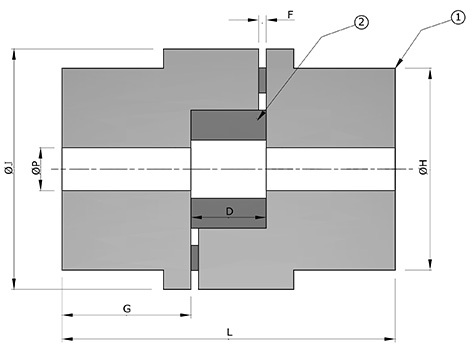 SIZE RATED HP AT RPM RATED TORQUE BORE SIZE Ø P JAW DIA. HUB DIA. TOTAL LENGTH THROUGH GAP BET. DIST.